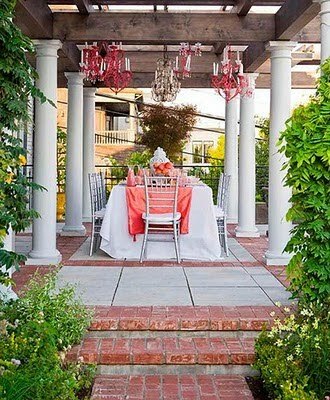 I dream of having an outdoor space like this. It belongs to Heather Christo here in Seattle. 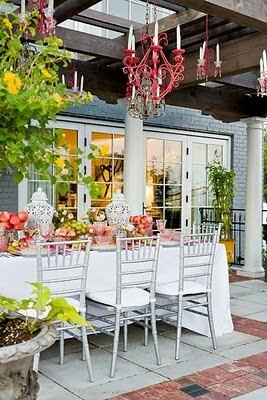 I especially love all of the chandeliers hanging from the pergola. So many things I could do in a space like this... have my morning tea, host a Sunday brunch, girls night out with wine and appetizers, the possibilities are endless.